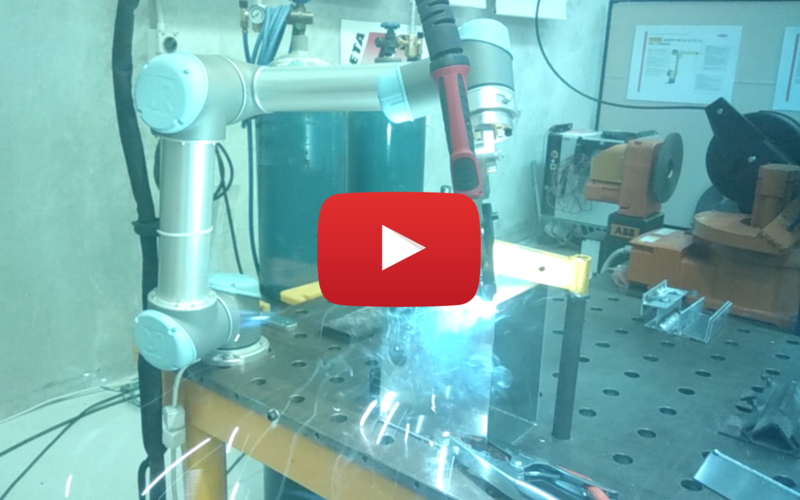 Universal Robot’s have limitless capabilities, allowing them to automate virtually any application, including welding. With precise accuracy and repeatability Universal Robot’s will improve your welding productivity and save you money. Mobile Automation has recently collaborated with Smenco the Australian agents for Fronius Welders, to bring you a complete solution for Welding robots. Mobile and Smenco will make the integration of robots effortless into your business. Welding can be very dangerous for humans if all safety measures aren’t in place. It can lead to injury or potentially fatal consequences. is one of the most serious and immediate threats to a human welder. If the shock doesn’t severely harm a worker then the fall from their body’s reaction to the shock will likely cause great harm or even death. can be hazardous to human workers health if overexposed, the welding fumes that contains harmful oxide compounds will have serious consequences. The welding consumables, contain base metal and base metal coatings, these are highly toxic and you don’t want your workers breathing them in. are a big hazard when it comes to welding, with some welds exceeding temperatures of 5,000ºC with sparks and splatter spitting from the weld. These are all known as hazards to human workers. are common while welding, exposure to the weld can lead to possible blindness if the correct PPE gear is not being worn. The Collaborative Universal Robot is immune to eye injuries, toxic fumes, fatal electric shocks and can be easily positioned in a spot away from potential fire and explosion hazards. With the precise accuracy and repeatability with every weld, the Universal Robots will increase productivity, reduce waste and increase the product turnover rate. The robots don’t require lunch breaks, superannuation, overtime pay, etc. making Universal Robots the perfect employee to have working in your business. The future of automation is here, so, act now! Universal Robots are affordable to all business sizes, and with an average payback period of only 6 months, you have nothing to lose. Want to talk finance? Let Mobile Automation Help you.